That men wear skirts seems not to be regarded as unalterable principles. At least, the majority of men still can’t accept this trend. 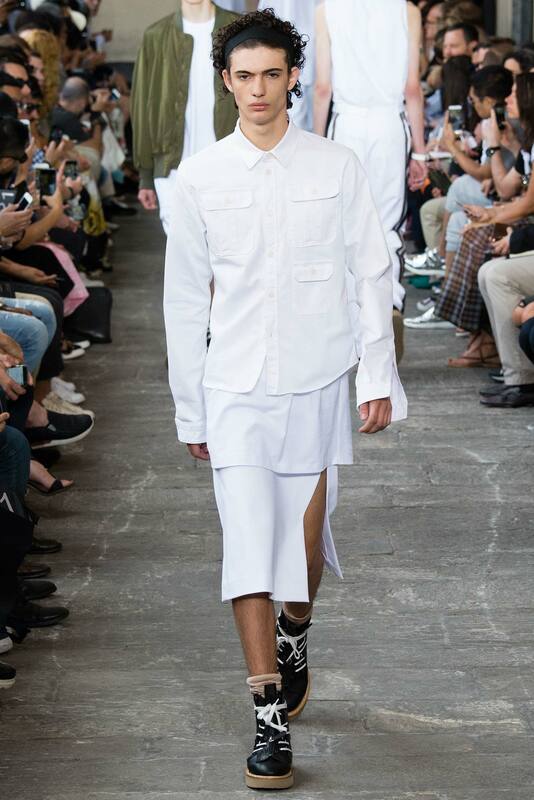 Men’s skirt that I see the first time is those Scottish Kilts. No matter how, it is still a matter that makes you feel stunning and shocking. 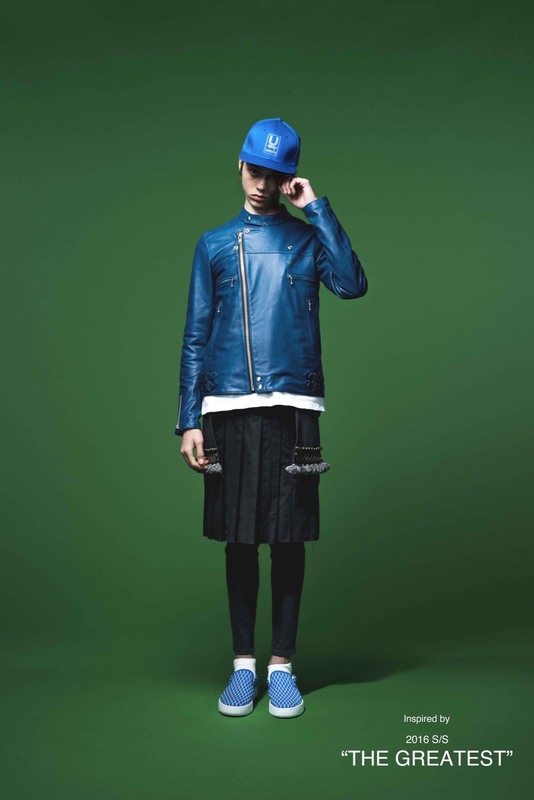 However, since men’s skirts come to the fashion stage, it never disappears again. 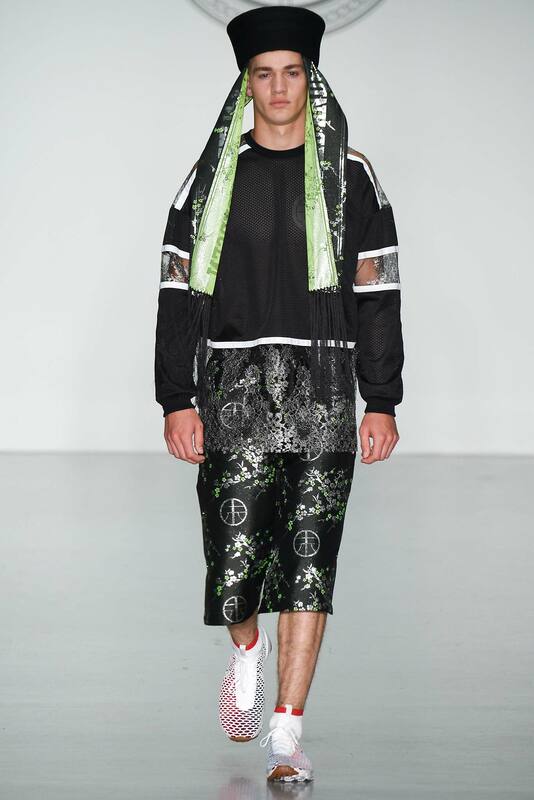 Instead, it has become an important highlight in the runways. 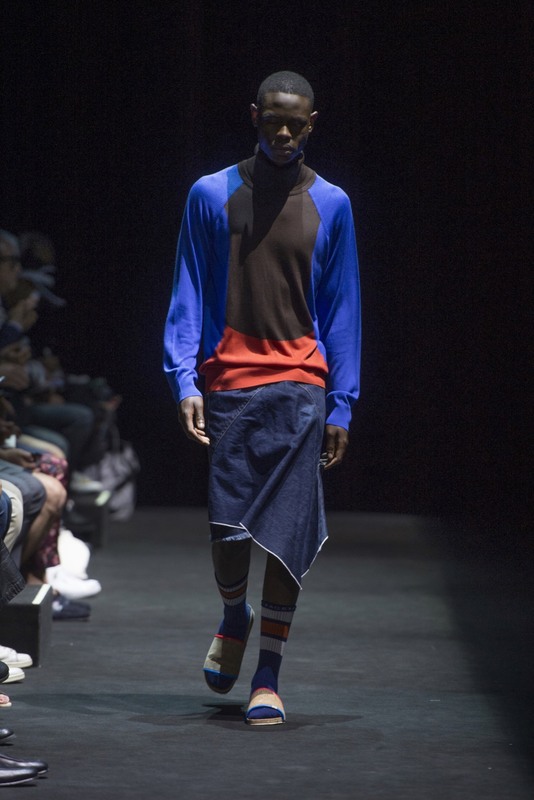 In Men Fashion Week, although wearing dresses makes male models lack in handsome and mature temperament, it shows you another kind of beauty. Don’t you think so? 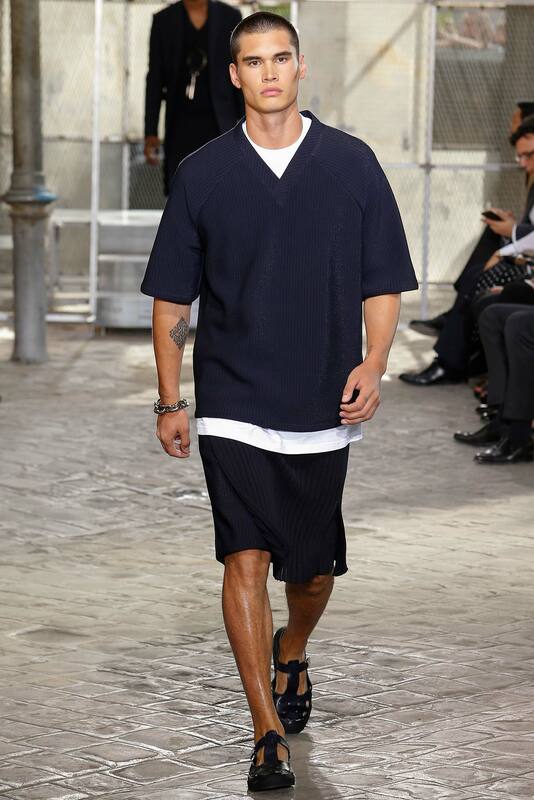 As a matter of fact, men’s skirts ever appear in the runway several years ago. 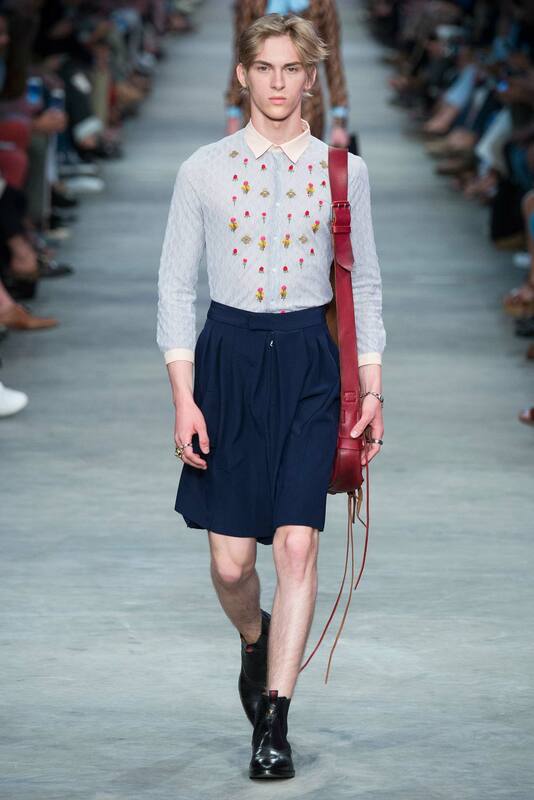 In this year’s fashion show, there have more different kinds of men’s skirts appear. Different from those in the past time, styles of skirts in this year are more acceptable. Pure color, simple design, cool printed pattern, refreshing color and so on show you the particularly unique new looks. 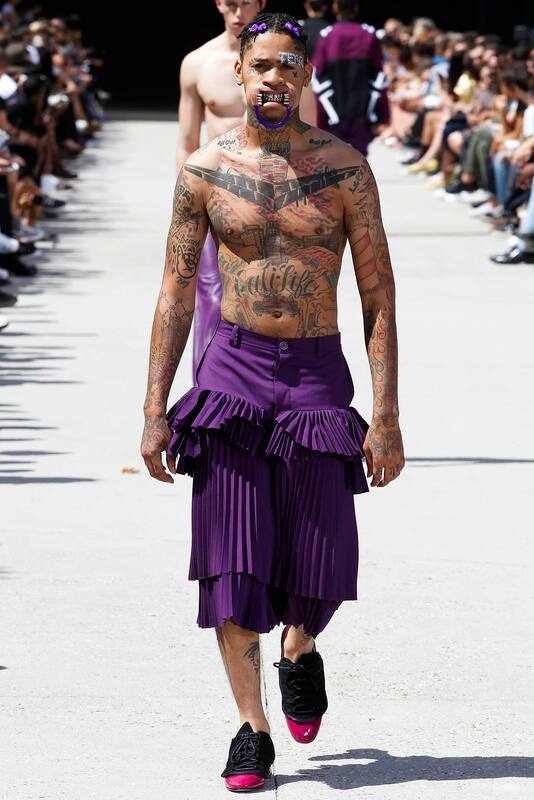 Those men who wear skirts in their daily lives will more likely to be regarded as a kind of eccentric, except that they really have specific temperament to be looked great by wearing them. Thus, in general, you will never see men wear skirts walking in the street. 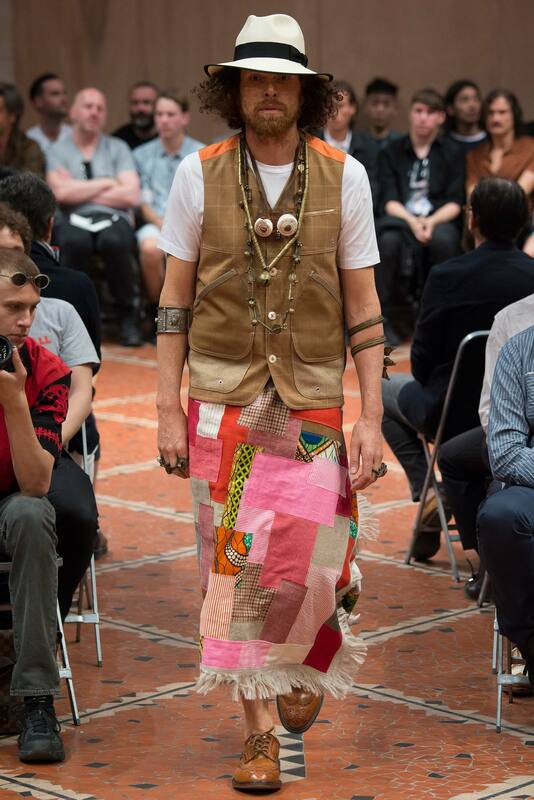 However, in the fashion circle, there are some men who have tried wearing skirts already. Undoubtedly, they are regarded as a group of people who is really brave. The majority of them are designers, super stars or other distinctive people. For themselves, they do so maybe just out of pleasing their own and they think that it is really funny. I can understand not every person can accept this fashion trend since everyone has their own point of views toward fashion and beauty. It is really not a matter that has absolute right and wrong. Then, what’s your opinion? Just share it with me in the following!